One of the main passenger complaints while traveling on Indian Railways is the quality of food provided by vendors. The levels of hygiene, quantity and quality has always been in question. IRCTC understands that and are now taking steps to ensure that passengers are able to get good quality food on trains to make their travel experience better. IRCTC is now, on pilot basis, introducing a new e-catering service where passengers will be able to book their meals through IRCTC website, just like they book their train tickets. The facility will be currently introduced on two trains which includes Mumbai-Delhi Paschim Express according to a Railway official. Under the new system, the passenger will have to provide details of their travel, the destination city and the food outlet from which they would like to order. IRCTC website will give all the details of various restaurant outlets through which the food can be ordered, including the menu card and prices of food. Alternatively, they can also call a toll-free number to book their food. 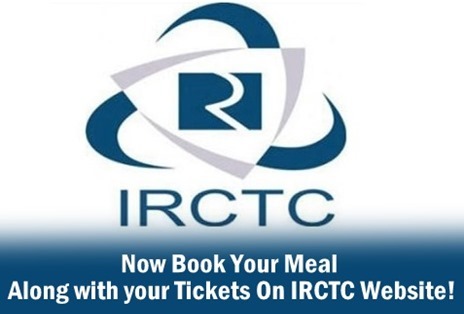 The food can be paid for at the time of the delivery or can be pre-paid on the IRCTC website. As these are private restaurants, the quality of food delivered is expected to be much better and have wide range of choices. However, IRCTC will not be responsible for the quality of food provided by third parties. IRCTC has been taking various steps over to improve the food availability on trains for passengers. Couple of months back, they had appointed Haldiram to sell pre-cooked ready-to-eat food packets on trains. The pre-cooked food included Dal Rice, Hyderabadi pulao, Chhole rice etc for four days. Based on the feedback received, IRCTC seems to have decided to approach private popular restaurants to provide food, who undoubtedly have a better quality food. Earlier in April, IRCTC had also partnered with with Ratna Café in Chennai Railway station to provide their menu of food items. The menu had over 100 different types of items ranging from tiffin, snacks, sweets, biryani to mini-meals. It is heartening to know that passengers will have atleast one less worry while planning on their long haul train journey. We just hope that this facility starts getting offered on other popular routes as well! AirBnB Brings ‘Trips’ Feature to India to Book Local Tours, Starting With New Delhi!